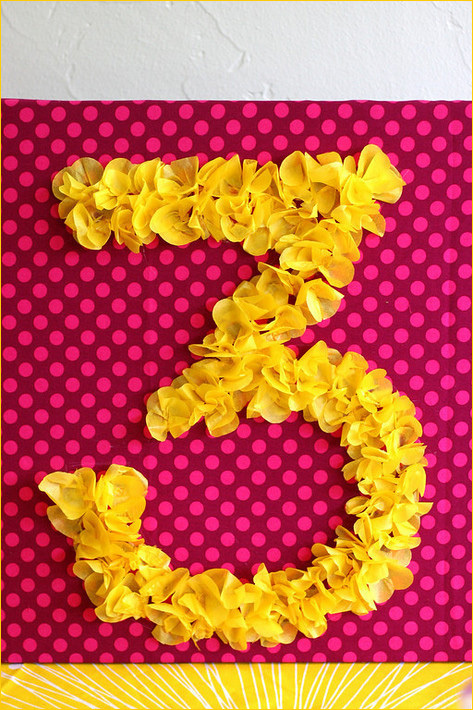 It's time for another round of Fabulousness around the web! Lucky for you guys I spend my days and nights scouring the Internet for fabulous ideas to share with you! If you are unfamiliar with this feature, basically I feature random, unrelated ideas that I LOVE from the world wide web. Well, they do have one thing in common - they are all FABULOUS, of course! Check out editions 1, 2, 3 and FALL! 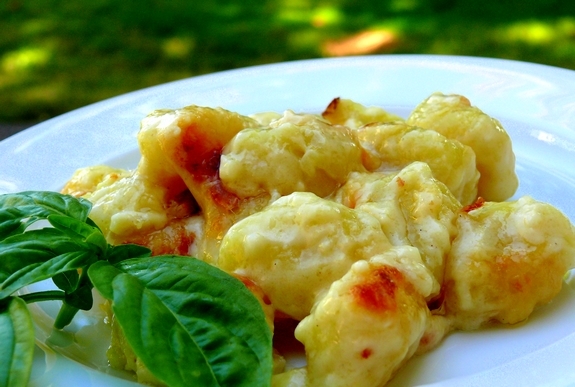 This dish below combines 2 of my favorite things... Gnocchi and Mac and Cheese... This is comfort food at its most decadent - picture your normal mac and cheese... and add fluffly gnocchi pillows as the pasta!! If you couldn't tell already, note that this is not a diet recipe! 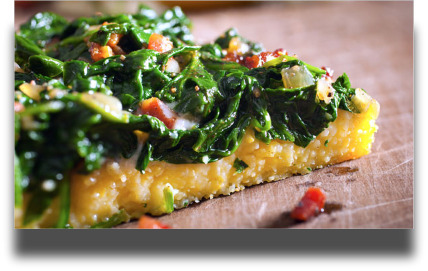 As someone who is currently watching her girlish figure, I must say just looking at this picture is pure torture...This delectable treat comes from the food blog Noble Pig - do your recipe collection a favor by visiting now! 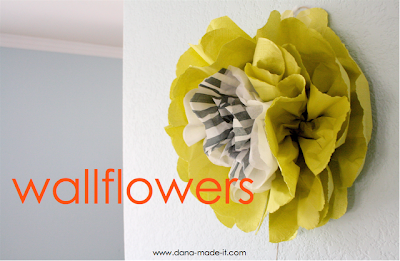 The paper flowers below are no "wallflower." Check out the step-by-step tutorial from dana-made-it. 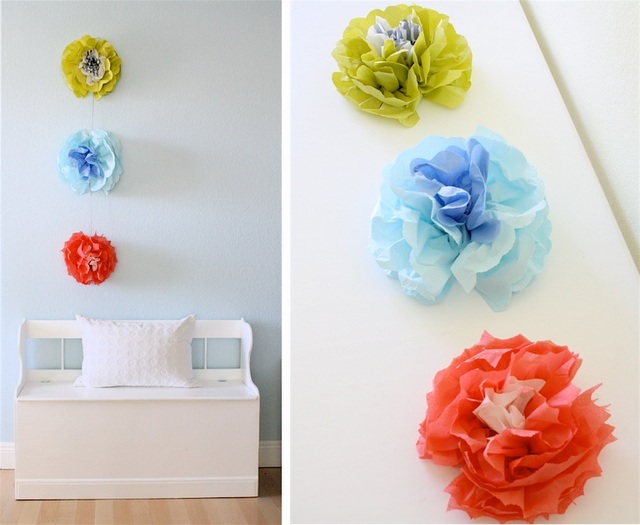 This is a beyond gorgeous way to add color to your wall, your event or your tablescape! 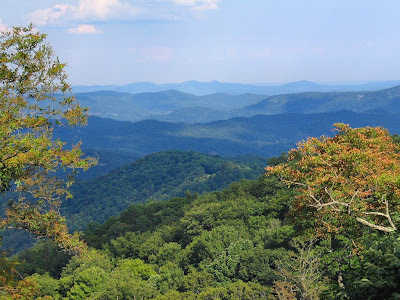 If you have been following my blog, you know I am a SUCKER for pictures... 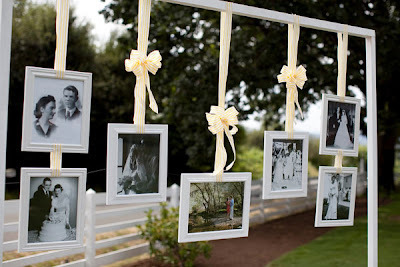 I love personalizing events with family photos...so I loved this picture display from a beautiful DIY wedding featured on Ruffled. I thought it was absolutely perfect for displaying family wedding photos! Take a look at the entire wedding feature HERE for beautiful DIY inspiration! The next feature is perfect for Halloween! Over at the andeverythingsweet blog, orange and black is done in a classy, creative way! These cupcake toppers are incredibly easy and will make a big fancy impact at your Halloween bash! 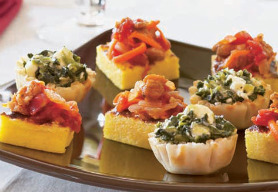 Use this idea for all holidays by switching up the different colors! This next feature is SO great for people who think they can't do anything crafty... this is super easy and is absolutely adorable! I saw this on Hostess with the Mostess, but the idea comes from Prudent Baby. Click HERE for the DIY instructions to this easy and fabulous party decoration, perfect for a child's birthday! 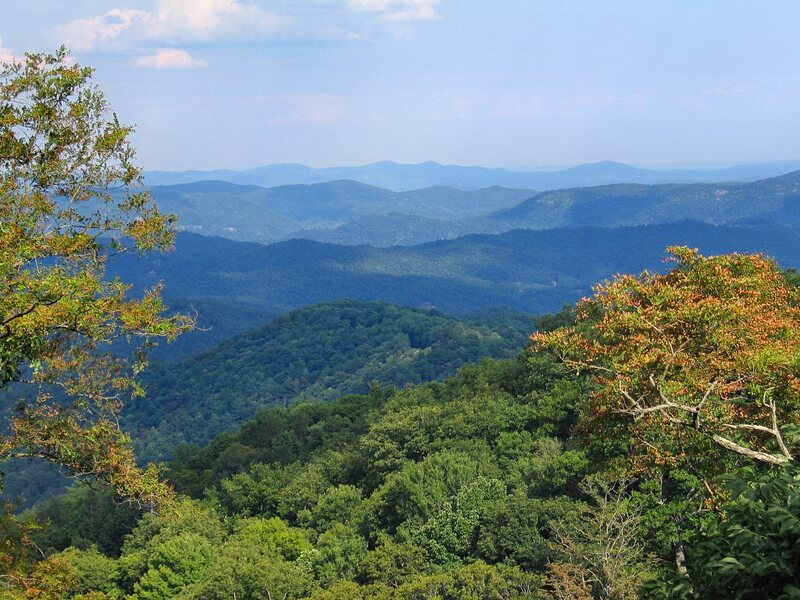 That gorgeous fabulousness will be my view for the next few days! I am SO looking forward to spending a lovely and long fall weekend in the mountains to celebrate THIS GUY's 30th birthday! 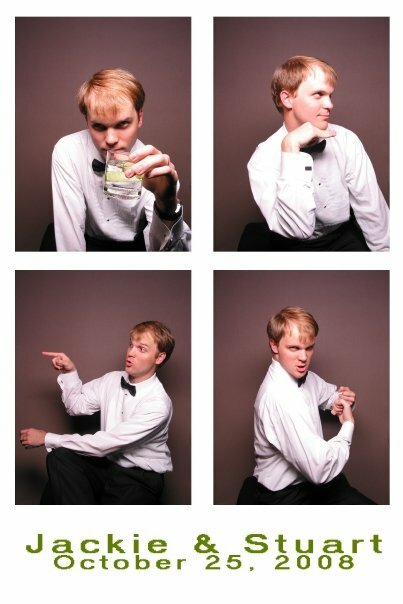 Yes, that's my brother-in-law Michael being absolutely awesome in the photobooth at our wedding. Legendary. You know you want to celebrate his birthday too! I promise to post pictures of the celebration next week! I love the cupcakes, great DIY ideas. I am now craving mac n cheese, haha...that looks sooooooooo good! Aw have fun this weekend!!!! OMG...those photos of Michael are HYSTERICAL! 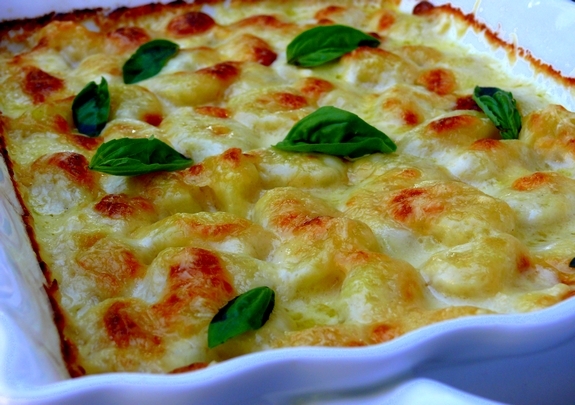 That gnocchi mac & cheese would clog every artery in my body. And I have a nagging suspicion that it would somehow be worth it. love this post and the end part is the BEST!!! Pretty much dying over those "wallflowers!" They're too fabulous! 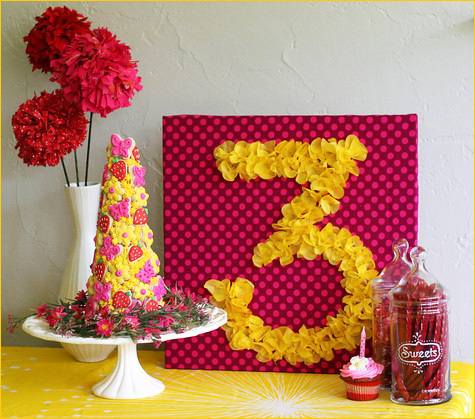 Love the DIY flower numbers... a great idea I'll pass along to Whit for the twinkies' 1st b. day...so original and cute!